This is again very good news for Hindi and Bhojpuri language viewers of DD Free Dish that "Oscar Movies" channel added on DD Free dish at channel no.075. "Oscar Movies" is India's first Bhojpuri movie channel for UP, Bihar and Jharkhand. Oscar Movies channel replaced at place of "TV Test 511". 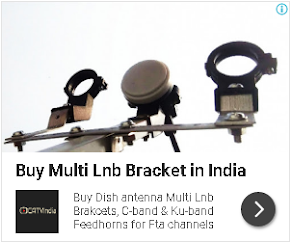 If you are not getting this channel then you can tune your DD Free dish set-top box at this frequency.